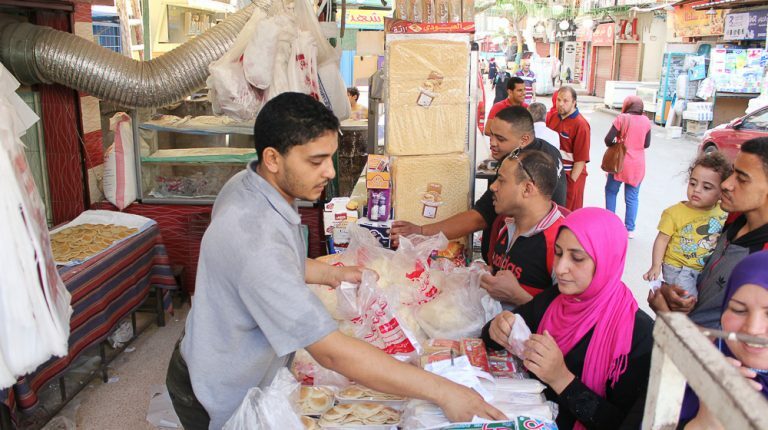 When it comes to food, Ramadan is the season of highest food consumption. 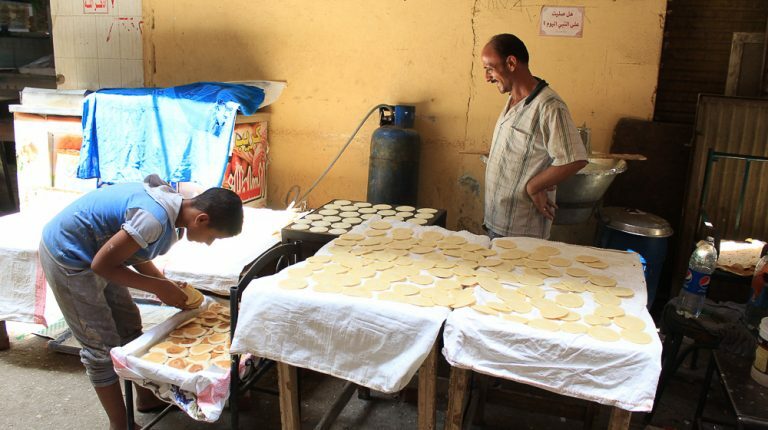 Preparing the iftar meal is not the only dish people stop at, but they go on to prepare the desserts that are as important as the plethora of food that fill families’ tables. 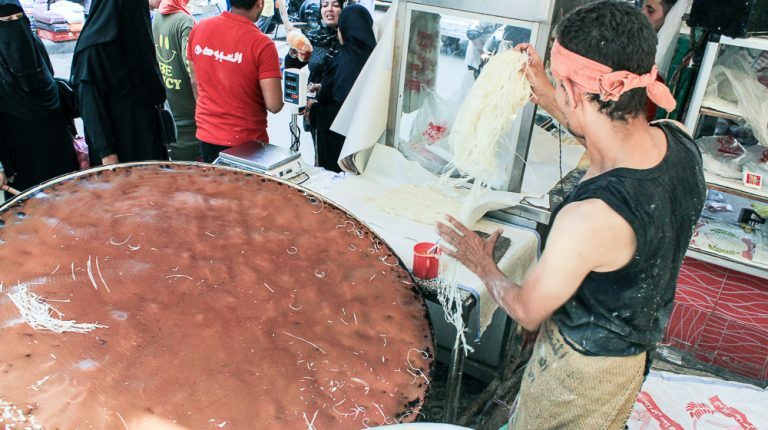 Konafa and qatayef are inseparable part of Ramadan’s tradition in the Arab world. 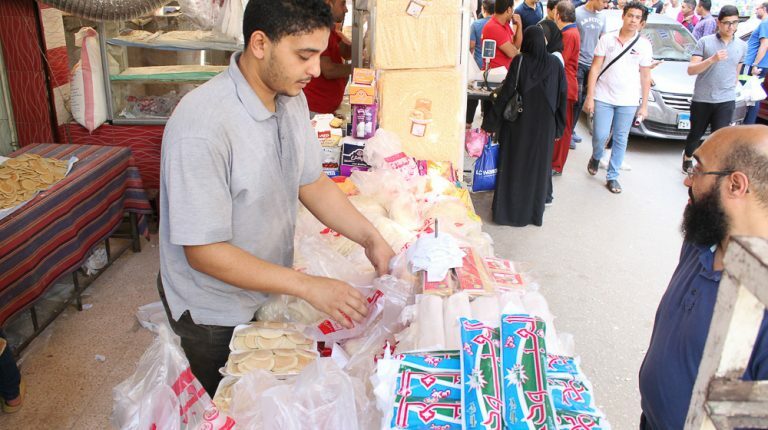 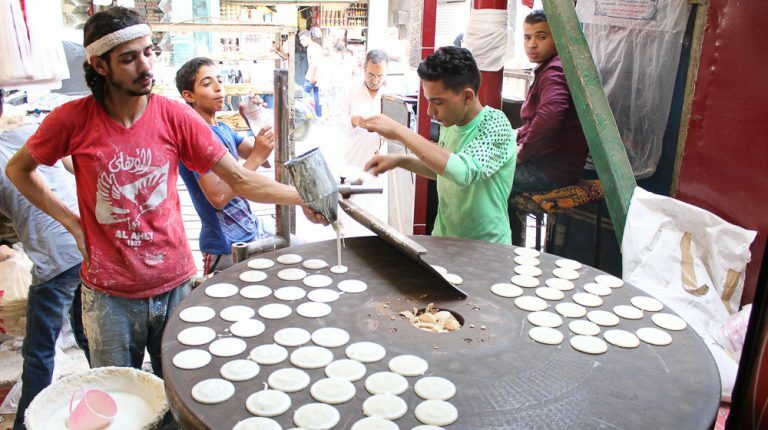 The desserts, known to be served only in the holy month, are widely available in Egypt at almost every bakery shop. 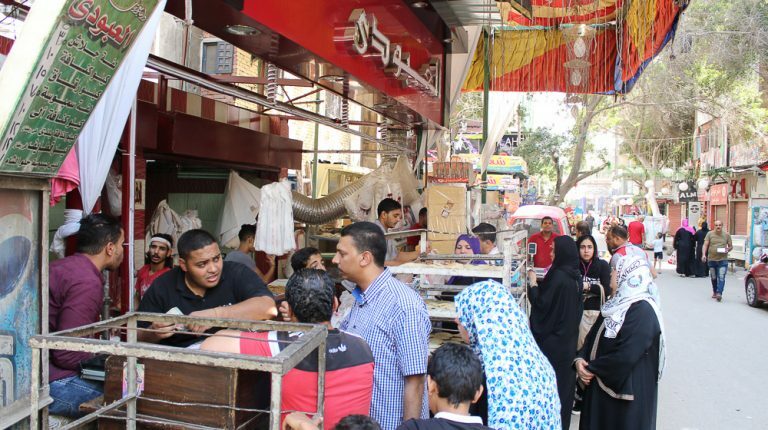 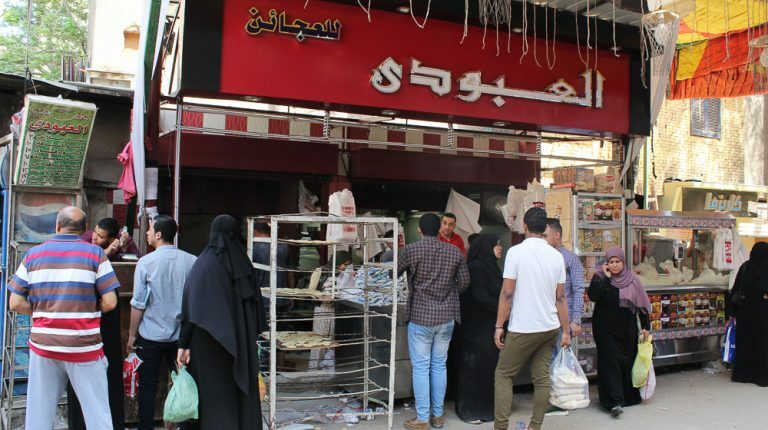 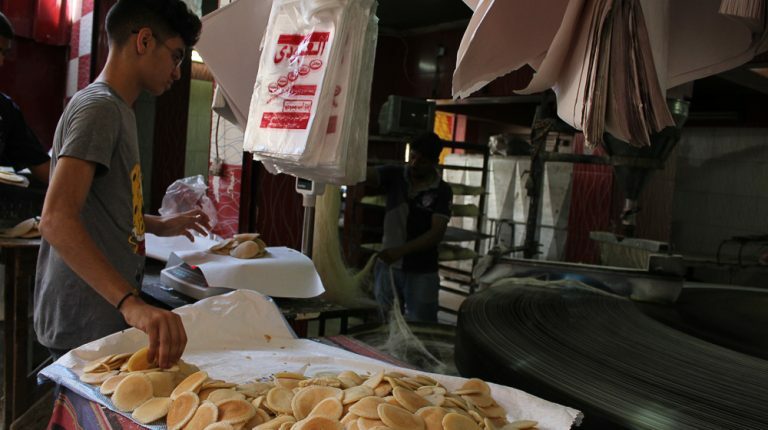 Throughout the month, even small bakeries are filled with konafa and qatayef. 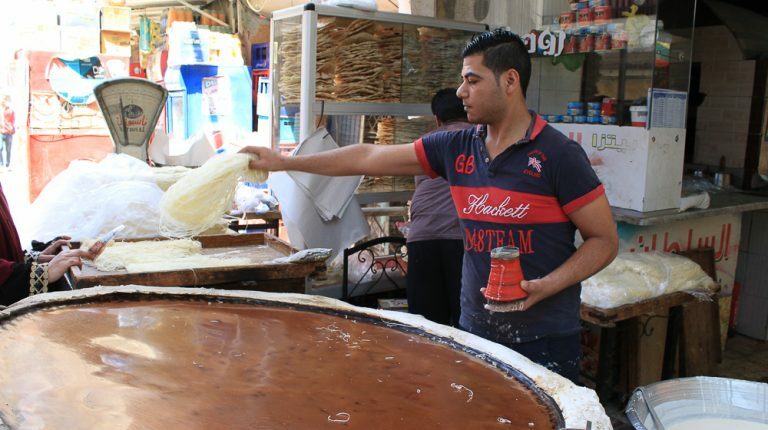 Konafa is considered one of the easiest Middle Eastern desserts in terms of preparation. 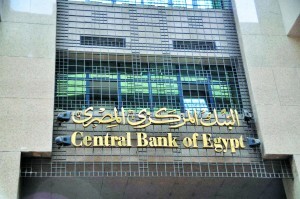 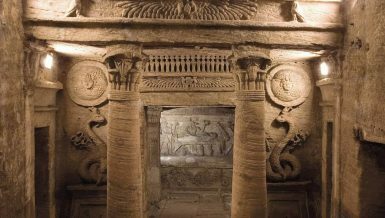 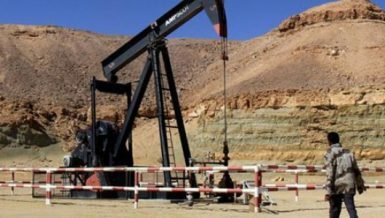 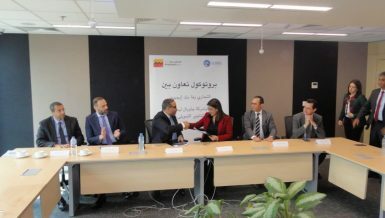 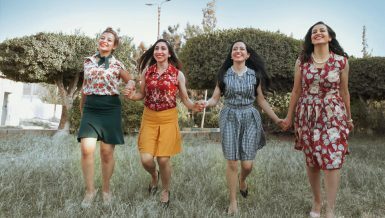 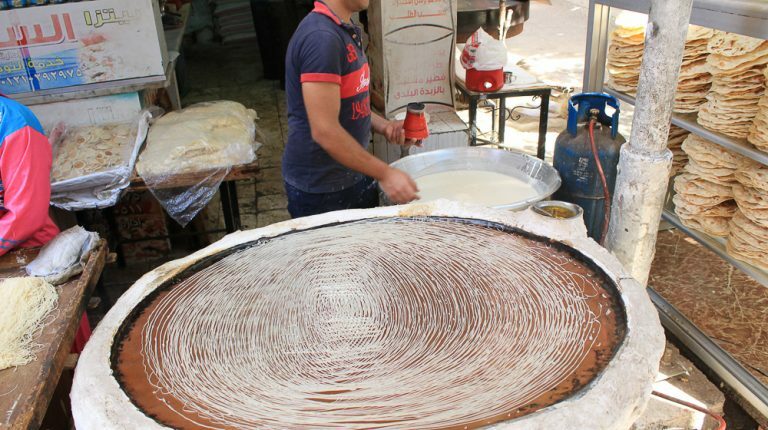 That is one of the reasons behind its huge popularity among Arabs. 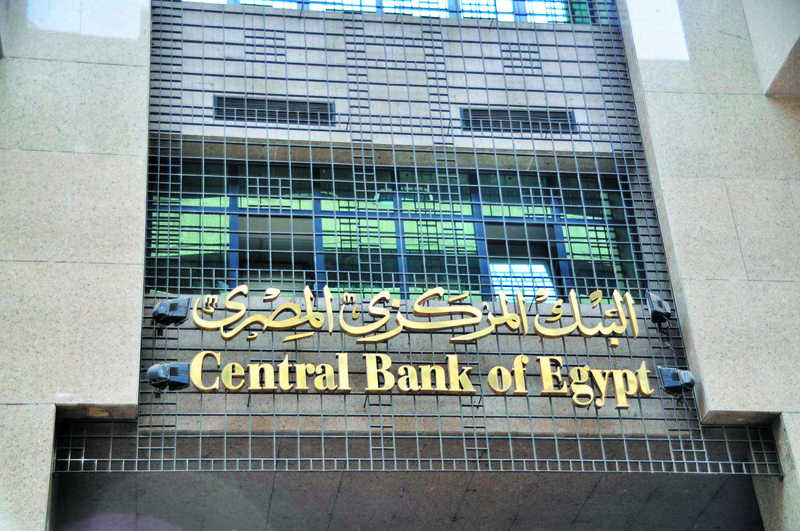 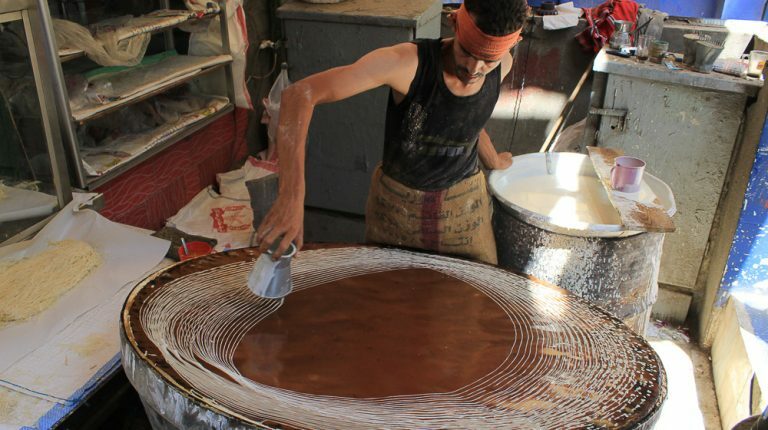 In Egypt, it is mainly prepared with nuts or cream. 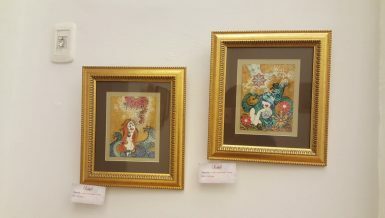 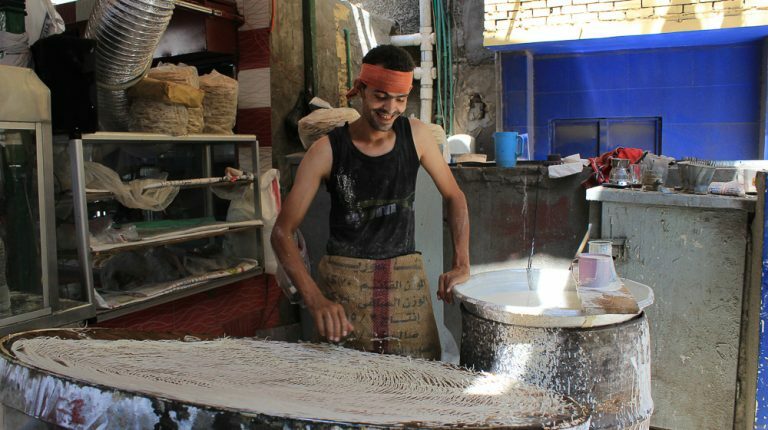 However, in the past few years, new flavours have been added to the traditional dish, including fruits, brownies, and red velvet cake. 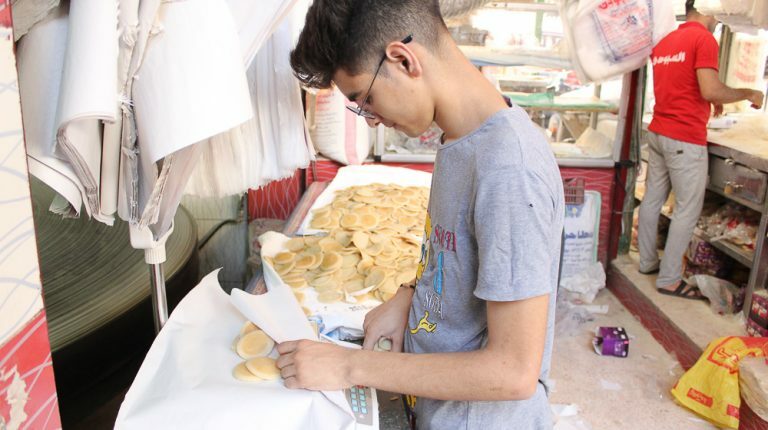 As for qatayef, the sweet dumpling is also usually filled with nuts or cream. 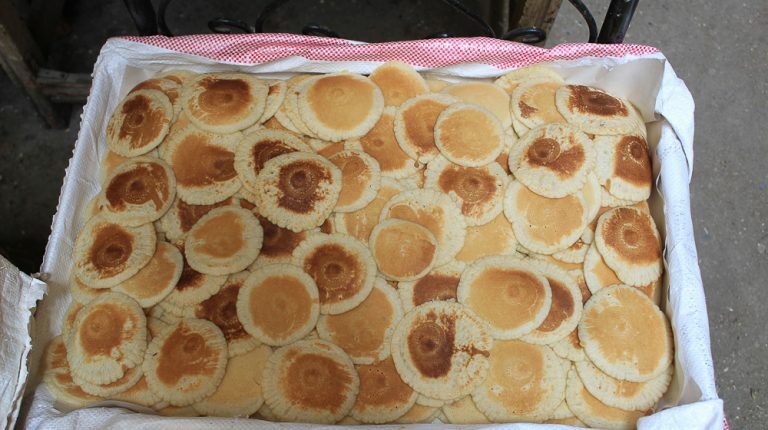 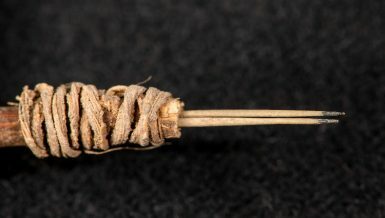 It can be both fried or eaten raw. 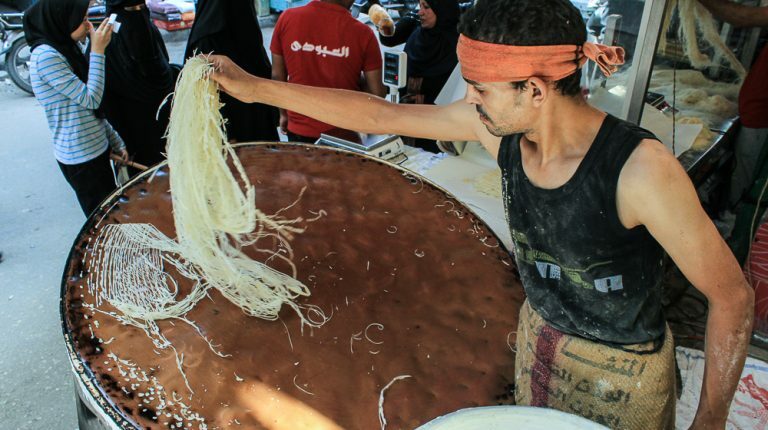 Forty-year-old Sae’ed Mohammed has been working as a specialised baker of konafa and qataef for around 18 years. 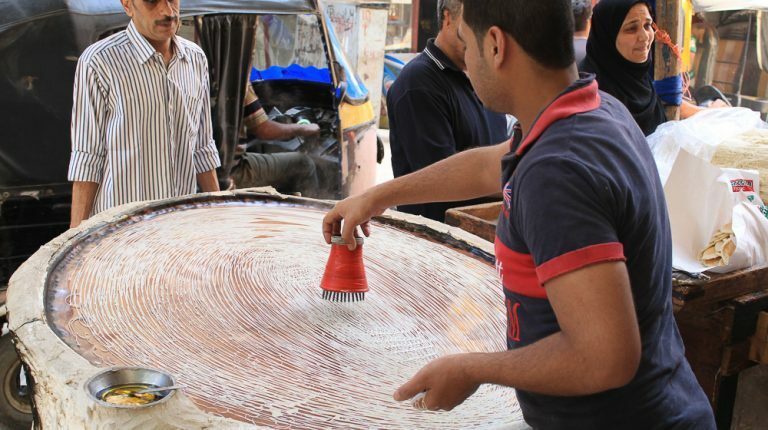 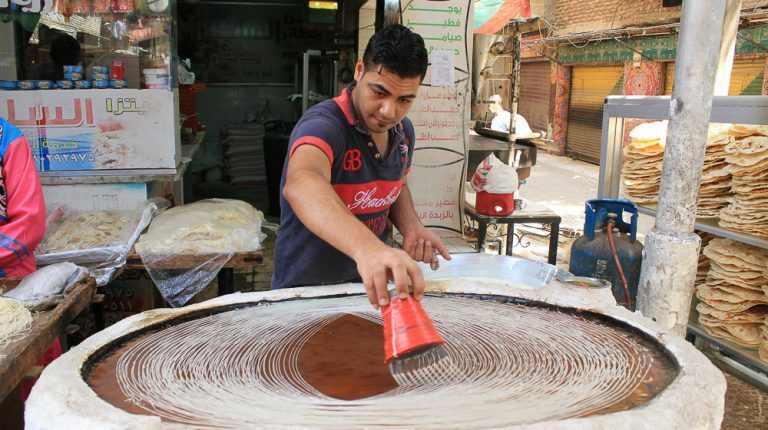 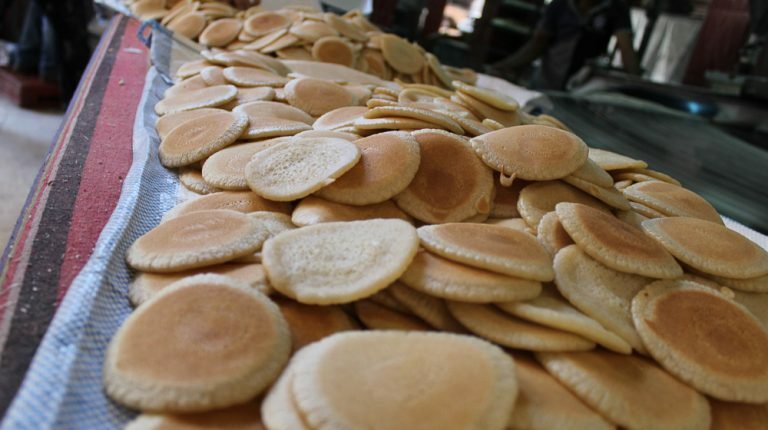 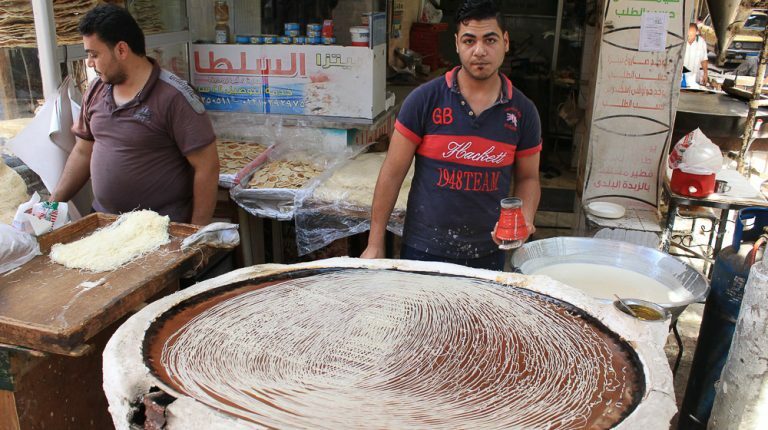 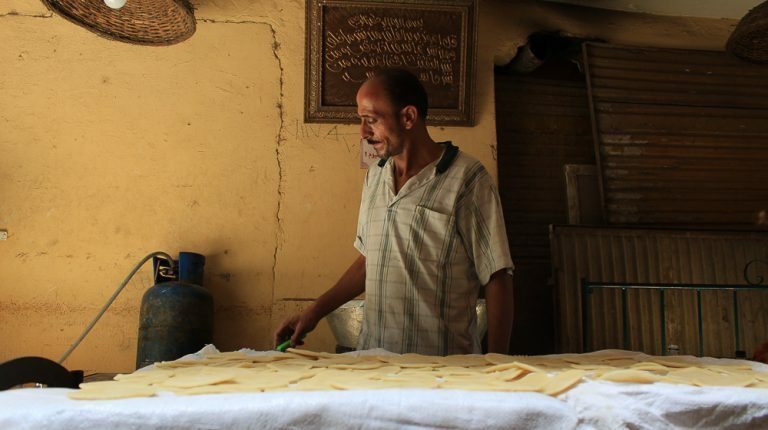 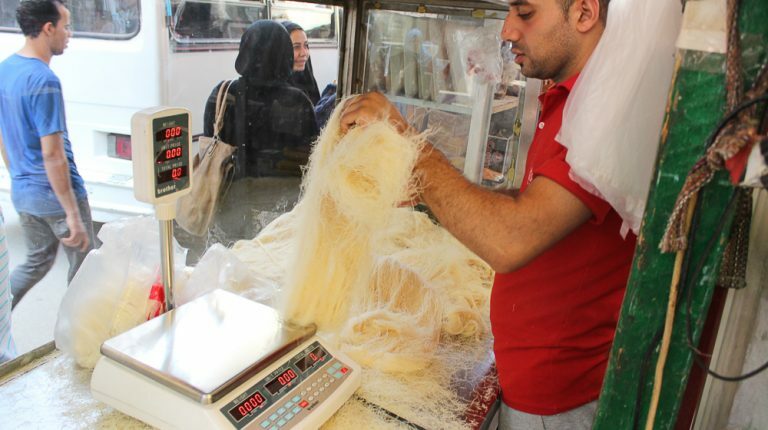 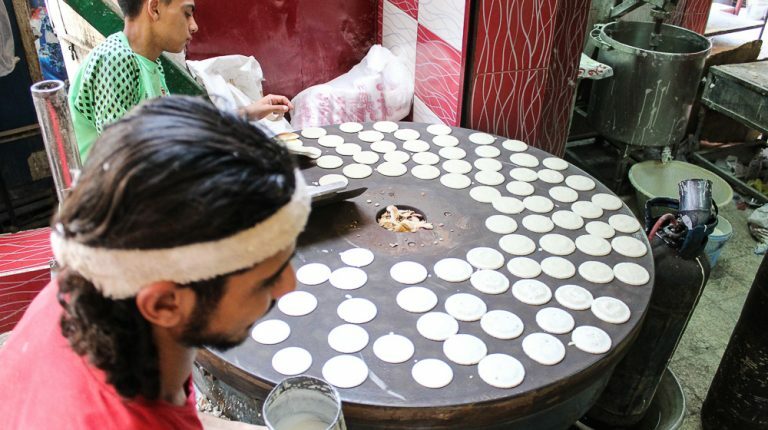 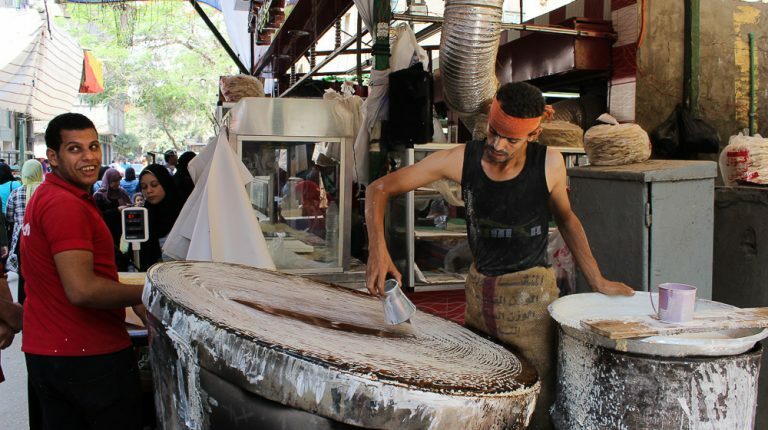 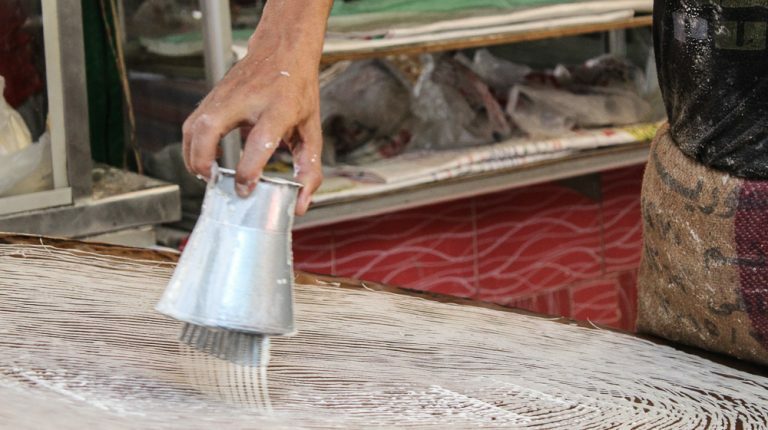 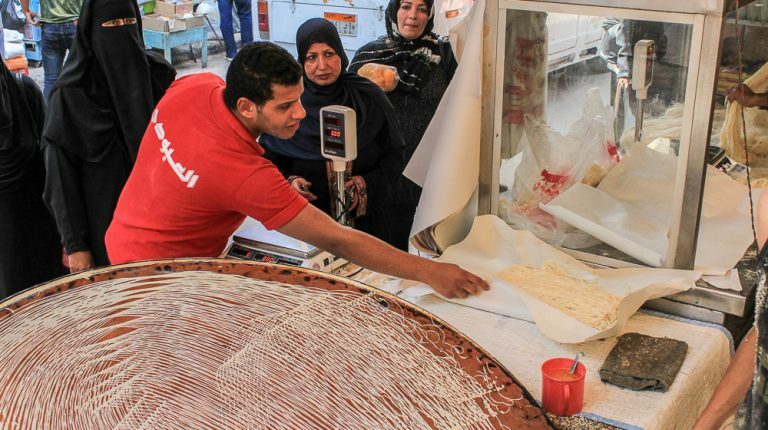 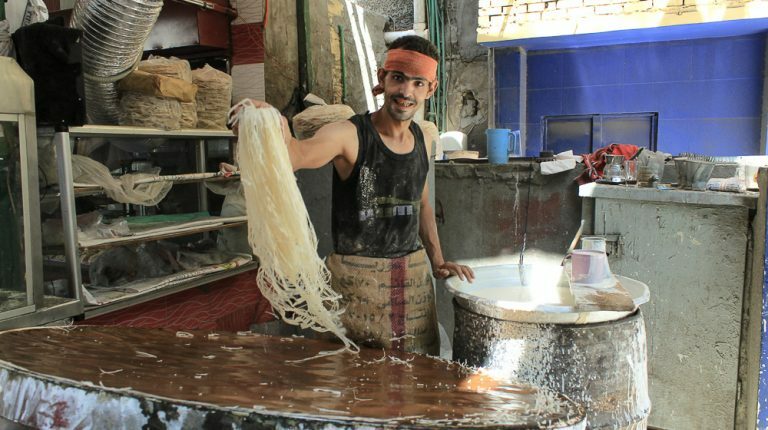 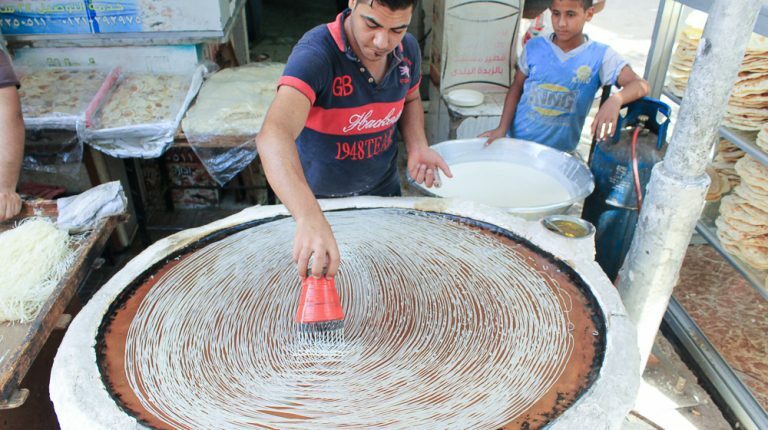 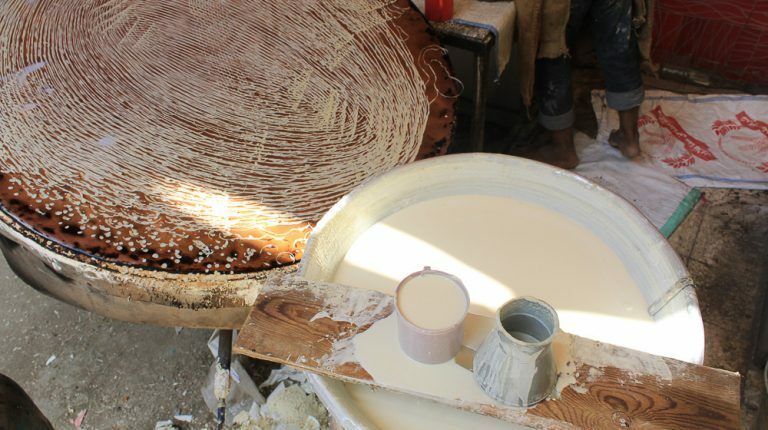 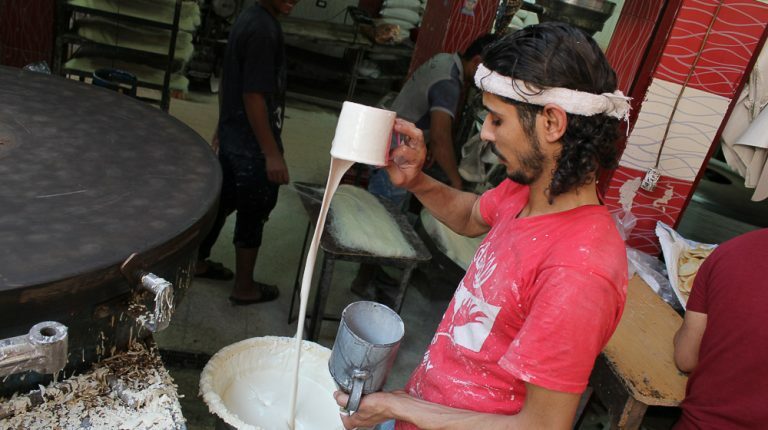 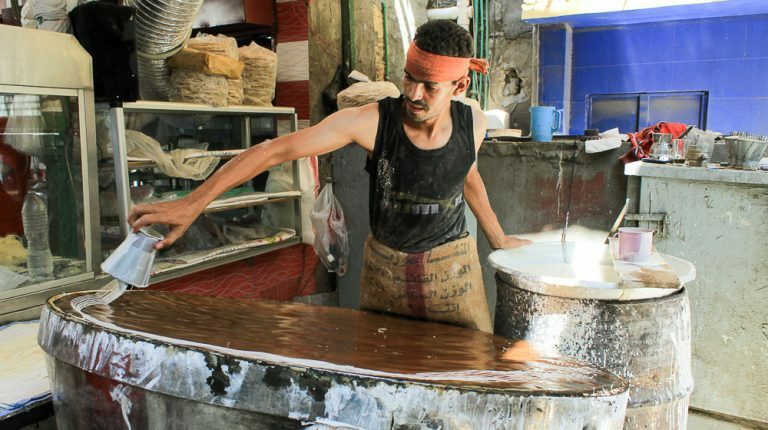 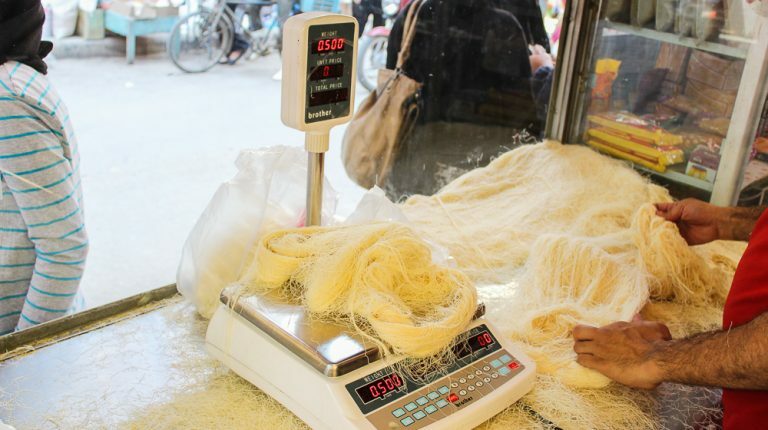 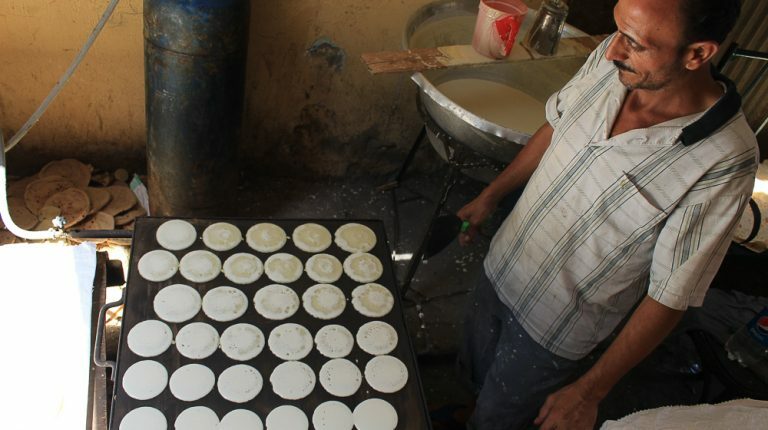 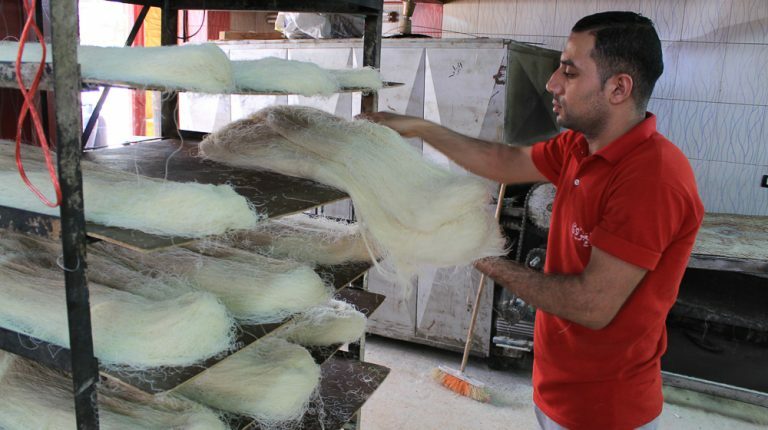 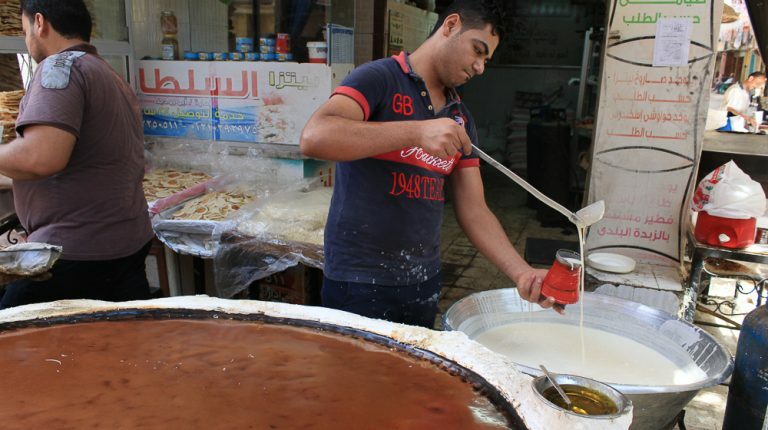 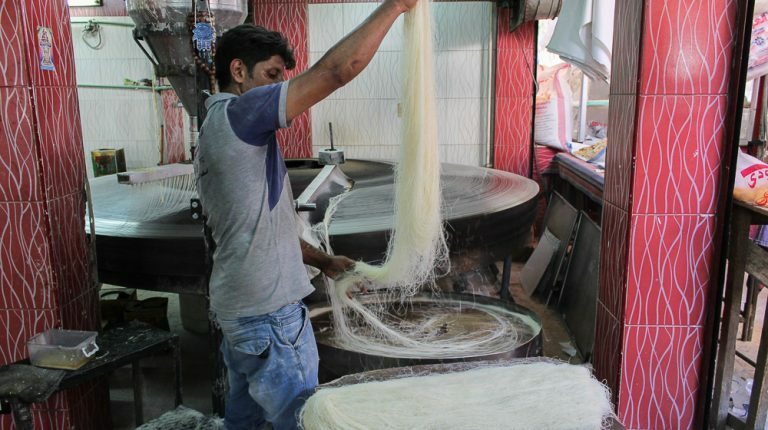 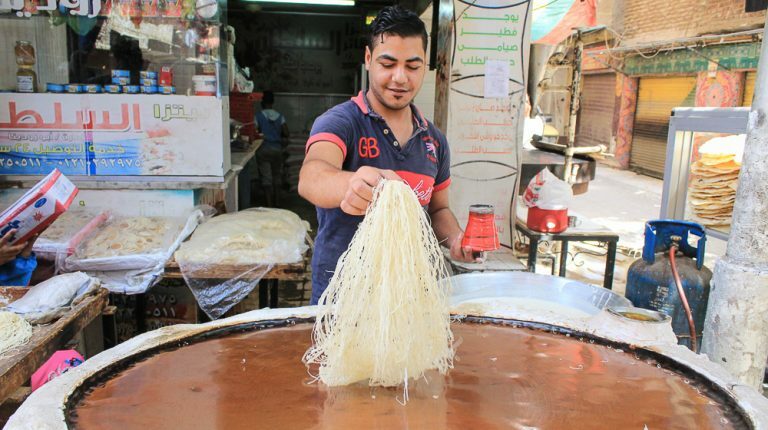 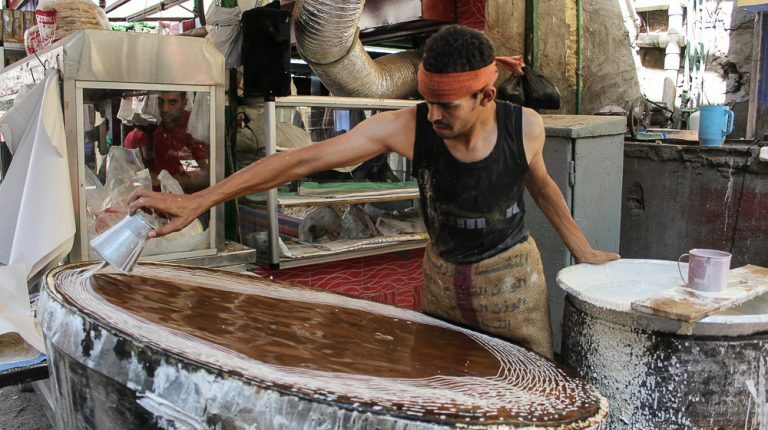 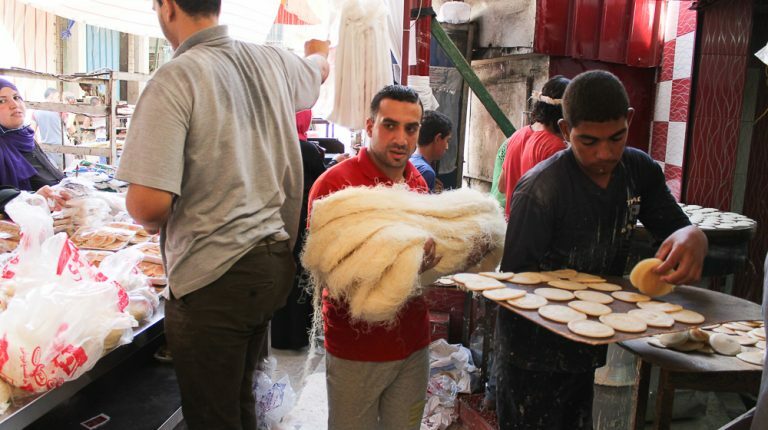 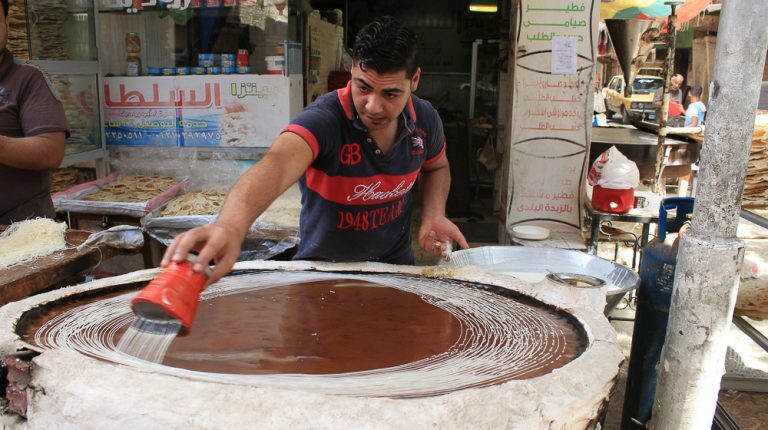 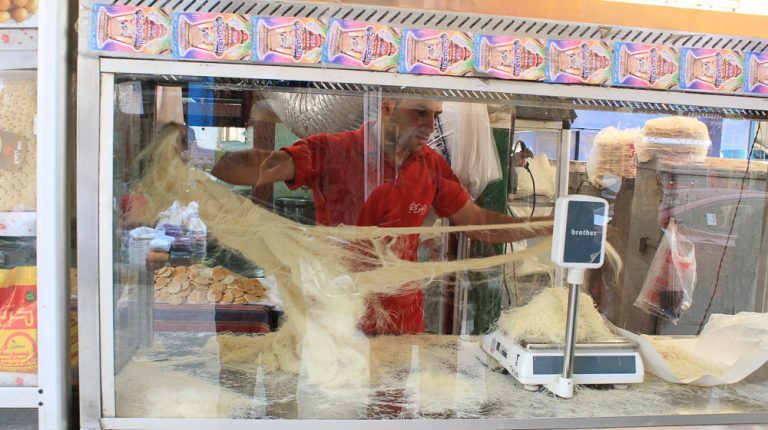 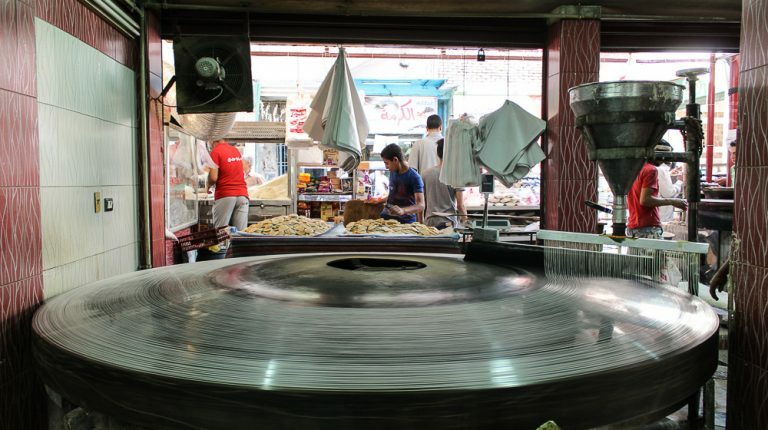 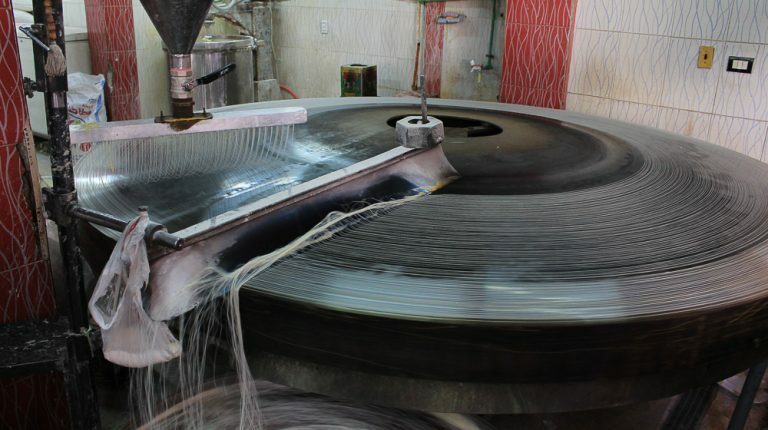 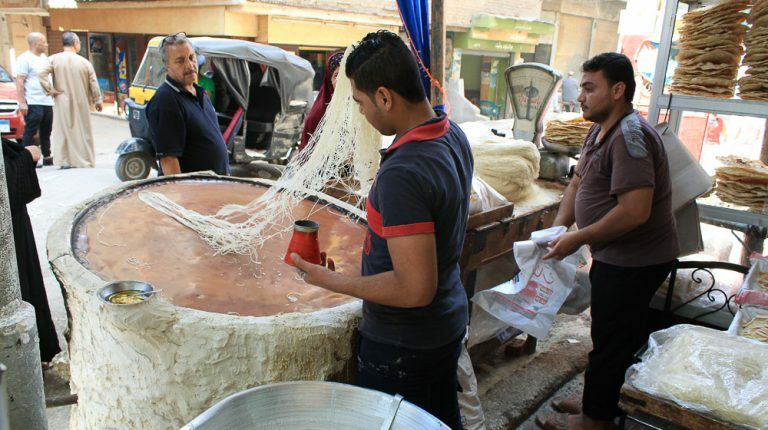 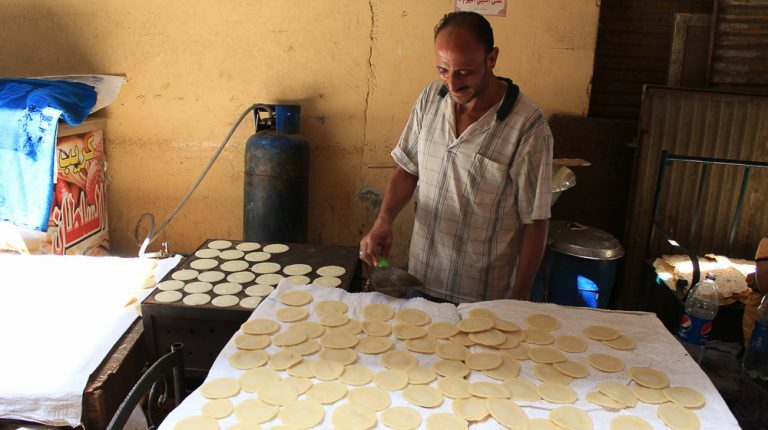 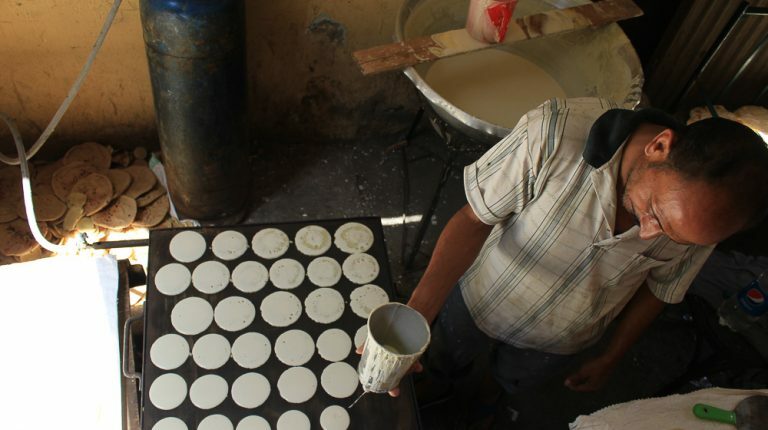 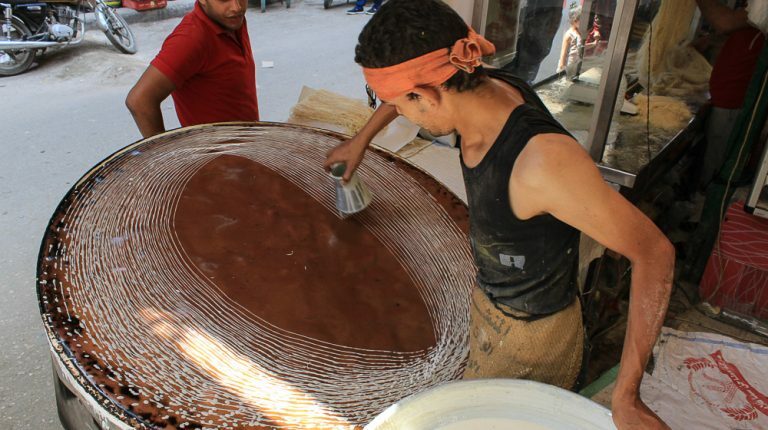 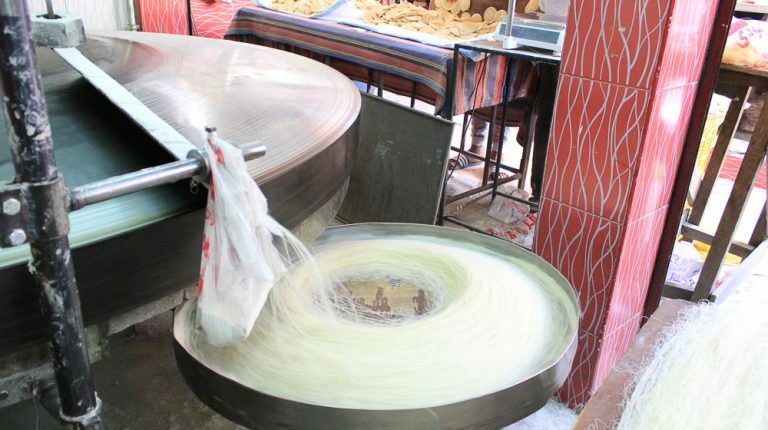 Mohammed spends his days in Ramadan turning konafa dough into long, thin, circled hair-like textures. 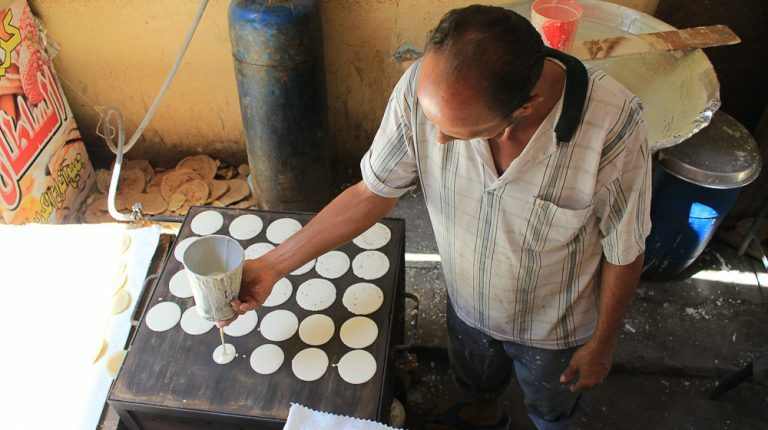 “It’s the most requested element of Ramadan,” he said. 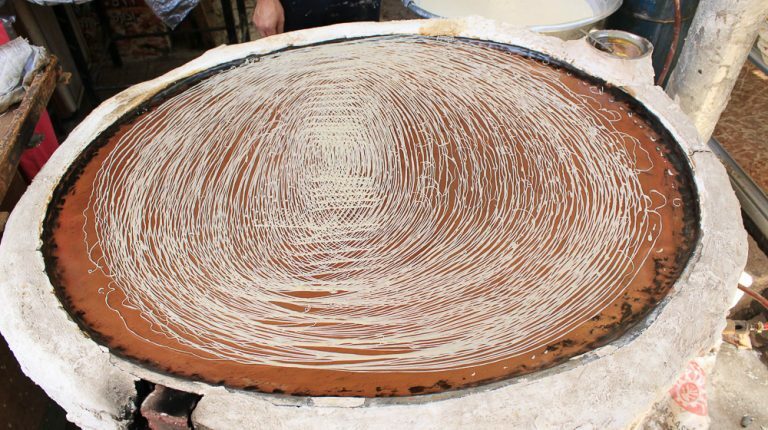 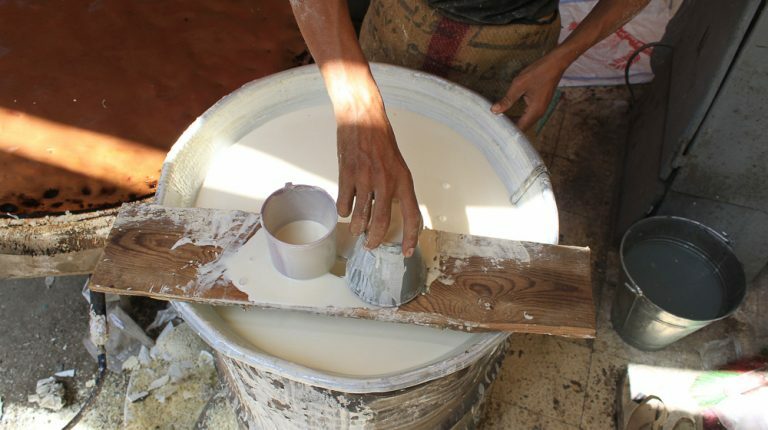 The liquid dough is spread in circle shapes on a hot tray heated to a high temperature. 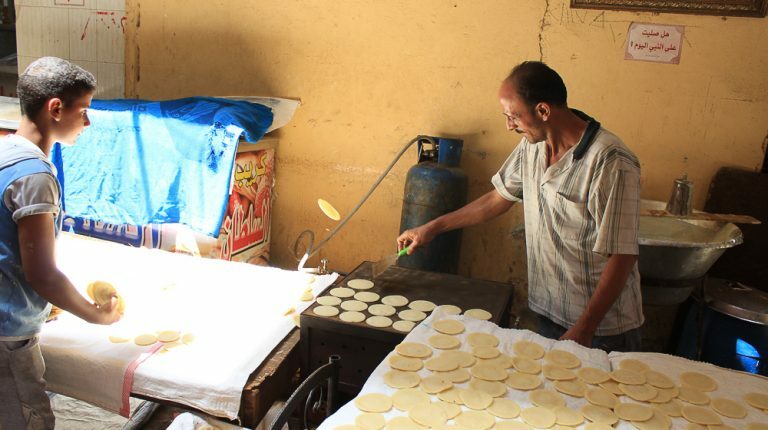 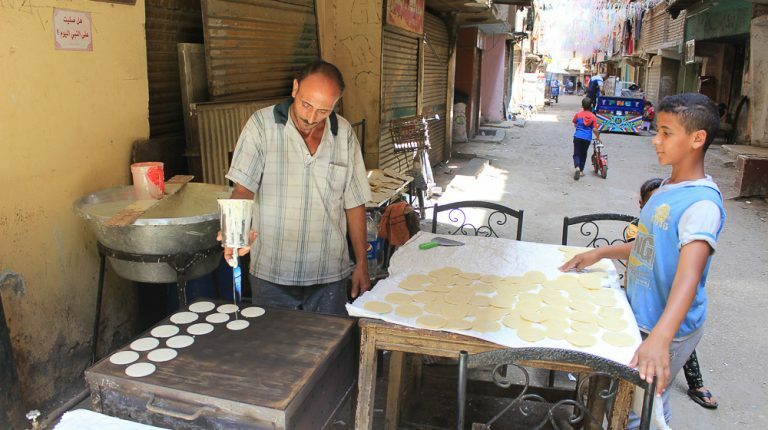 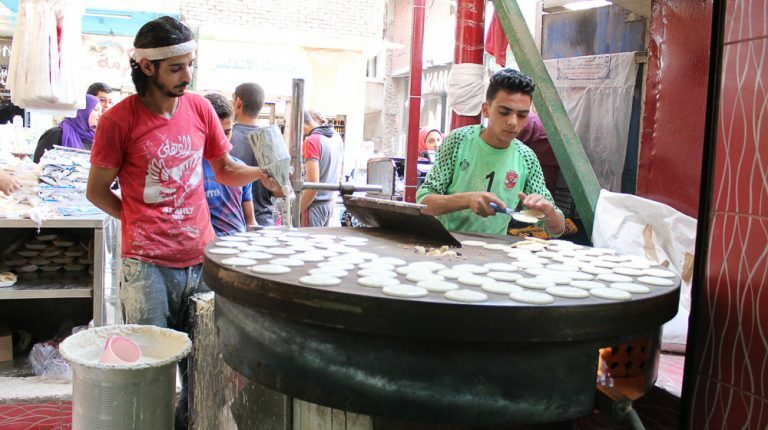 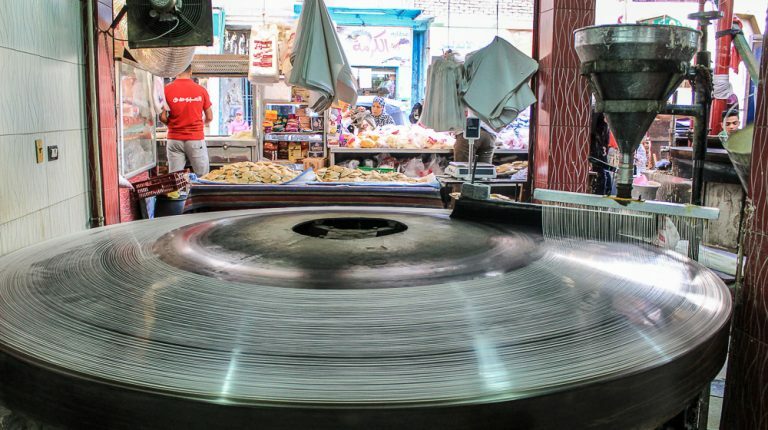 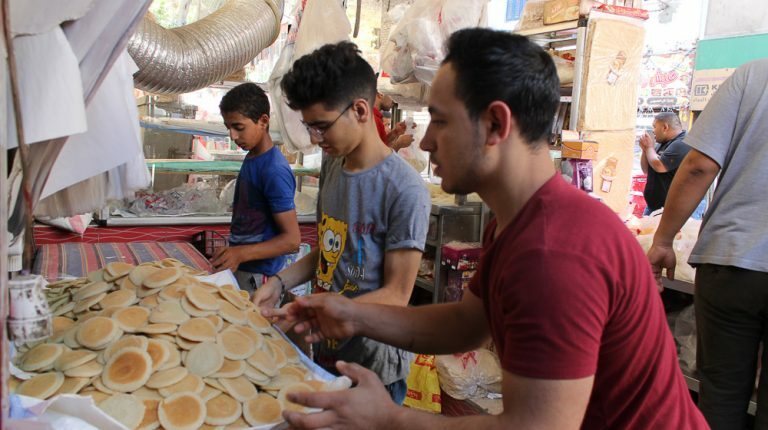 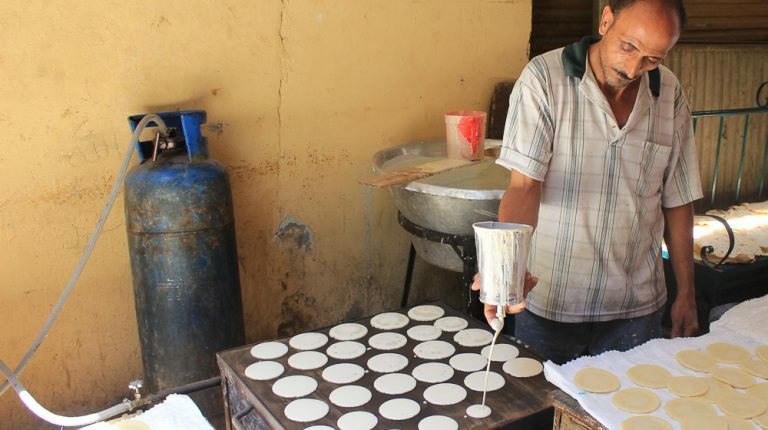 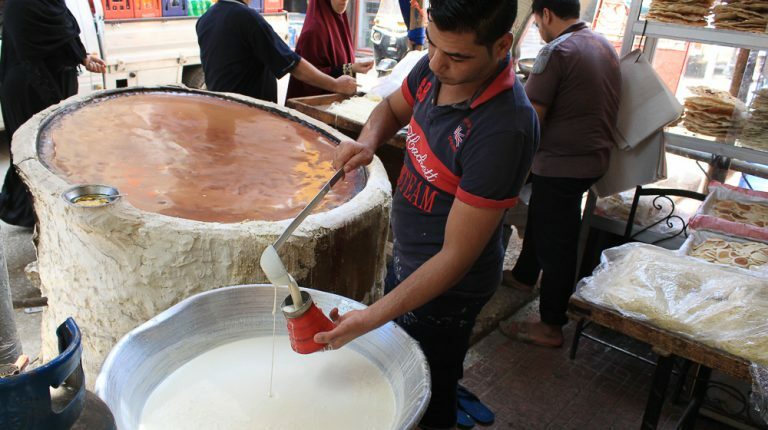 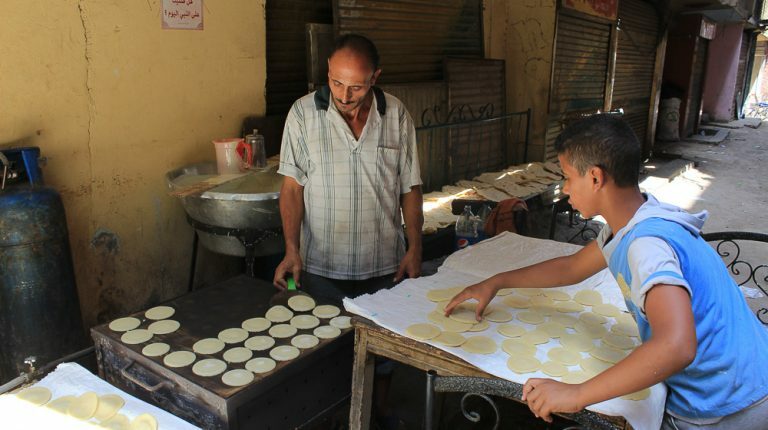 Mohammed opened his eyes to three older brothers who also worked as konafa and qatayef bakers, and he learned all the tricks of being a good baker from them. 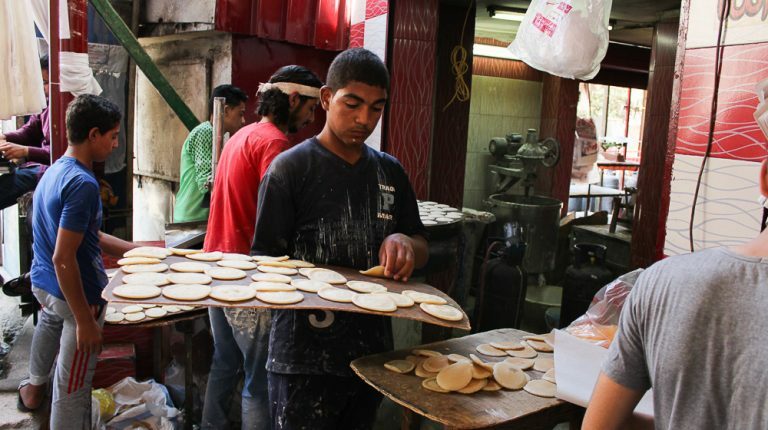 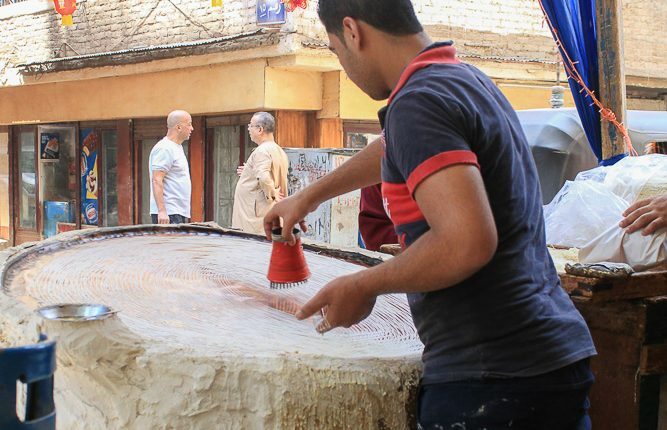 “Not only my brothers are like that, all of my hometown members work as konafa bakers across Egypt,” he added. 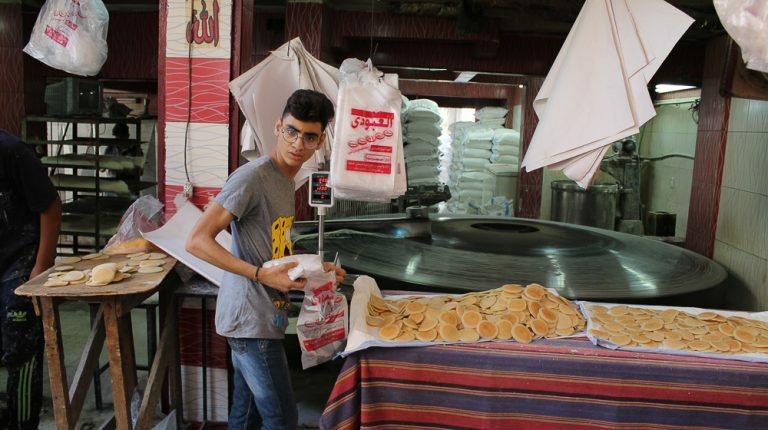 During the rest of the year, Mohamed work as a regular baker who makes all sort of bread and biscuits. 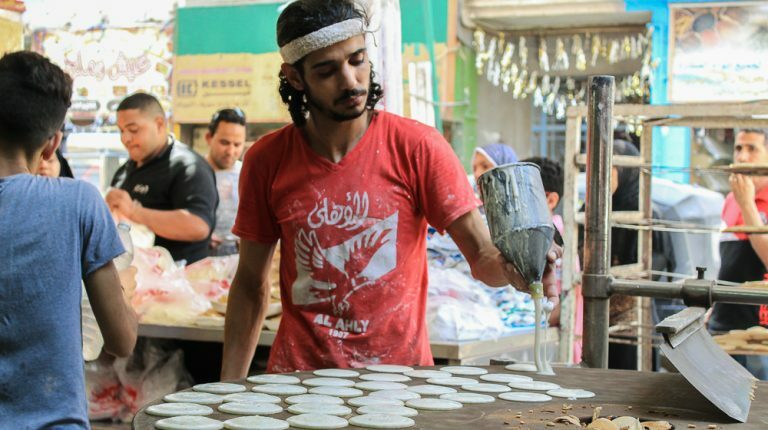 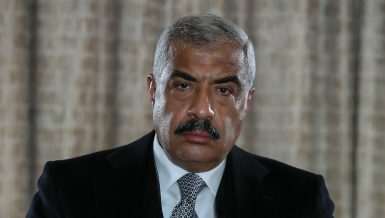 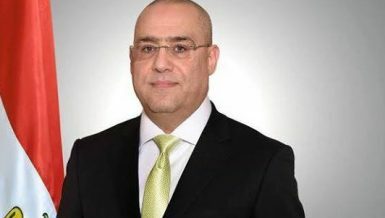 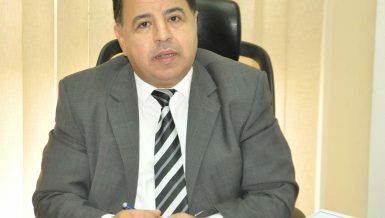 Yet, he does not let go of his passion and what he considers his “main career,” which is making qatayef and konafa.